You are planning to spend your next summer holidays with all your family in York. Write a formal email to the manager of this hotel. 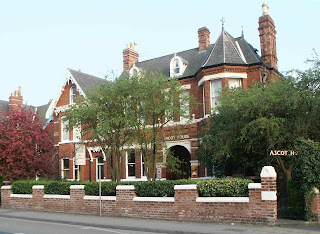 We're glad to welcome you to our guest house in the centre of York. 4 double bedrooms, 4 single, breaskfast, wifi, TV. Can you understand these people? Are there a lot of students in the class? (Short answer) There are a lot. (Full answer) There are a lot of students. (Short answer) There are quite a lot. (Full answer) There are quite a lot of students. (Short answer) There are a few. (Full answer) There are a few students. (Short answer) There aren't many. / There are not many. / There aren't a lot. (Full answer) There aren't many students. / There are not many students. / There aren't a lot of students. (Short answer) There are none. (Full answer) There aren't any students. Do you put a lot of sugar in your coffee? (Short answer) I put a lot. (Full answer) I put a lot of sugar. (Short answer) I put quite a lot. (Full answer) I put quite a lot of sugar. (Short answer) I put a little. (Full answer) I put a little sugar. (Short answer) I don't put much. / I do not put much. / I don't put a lot. (Short answer) I put none. (Full answer) I don't put any sugar. / I do not put any sugar. Notice that a lot / a lot of can be used in positive, negative and in questions. Many / much are only used in negative and in questions. - Don't forget to work with the Vocabulary Checker and the Pocket Book, too!